The Karachi School of Business and Leadership (KSBL) along with Pehle Aap (Pvt) Ltd welcomed high-profile Chinese Delegates at a seminar on ‘CPEC –The Way Forward’. 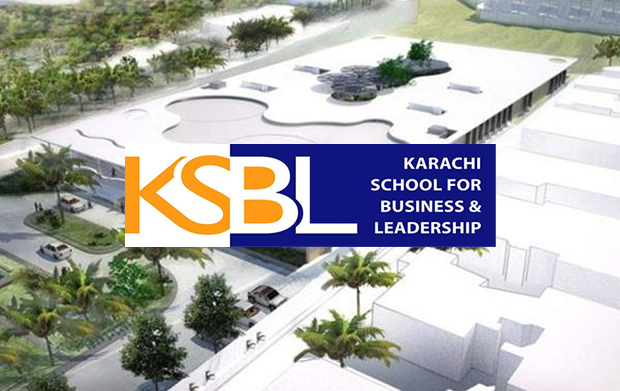 The seminar was held at the KSBL campus and was attended by leading members of Karachi’s intelligentsia and representatives of the agricultural industry. It introduced a nationwide Agricultural Export project, promoted by Pehle Aap (Pvt) Limited. This project was conceived to uplift, source and trigger the export of agricultural products from Pakistan to China and other countries. In this event, the discussion revolved around services of CPEC and the evolution of China from an economic condition similar to where Pakistan stands today, towards prosperity by ultimately focusing on export. Pehle Aap Ltd CEO Amar Zafar Khan and Dean at KSBL Dr Zeeshan Ahmed hosted the auspicious visit of Chinese Delegates across Pakistan. They explained that through this project Pakistan’s agricultural, fisheries and livestock output would be boosted by the specialised Chinese companies, sourcing from farmers and exporting to China and other countries. Apart from that, a complete E-marketing and supply chain infrastructure would be implemented by a major Chinese company that has executed similar structures across China. It was also highlighted that with this project the expected potential growth in the agricultural sector will not just benefit farmers and open avenues for skilled jobs for them, but will also make foreign exchange position of both the countries stronger. to our country, which is currently plagued with imports exceeding exports, an unsustainable foreign debt burden and rural poverty. Wu Yongqiang, (Deputy Secretary General, All-China Youth Federation, Press and Publication Sector) was the principal speaker at the event. Along with him, the stalwart speakers from Chinese delegation included Sun Xiangyang (Chairman Yangming Technology Investment Company), Yao Zongchang (Chairman, Taidi Network Technology Co Ltd.) and Ms. Wu Xueqin (legal assistant and translator). The China-Pakistan Economic Corridor Project (CPEC) offers comprehensive economic, trade, agriculture and e-commerce opportunities. Khan also shared that the seminar projected a vision that encompassed Pakistan’s desire to find sustainable solutions for its critical economic issues. He was of the opinion that agriculture offered high export growth potential, therefore it is the best starting point for Pakistan’s economic advancement and this collaboration with China in would bring tremendous benefits to both countries.